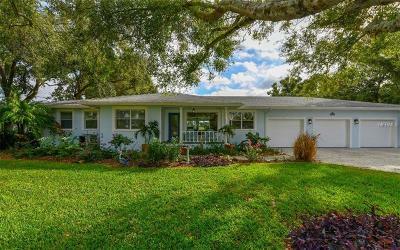 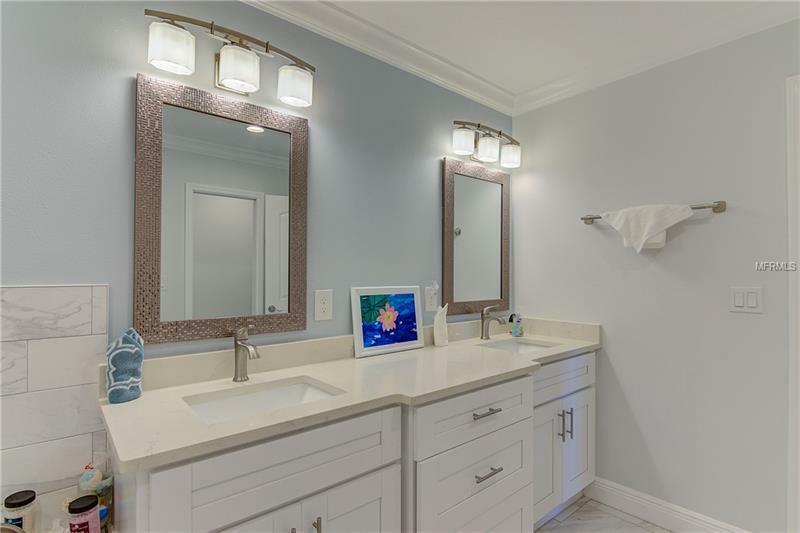 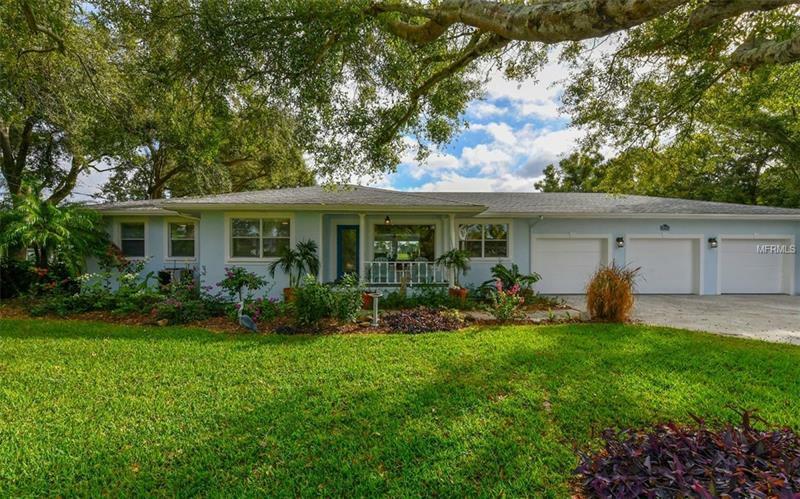 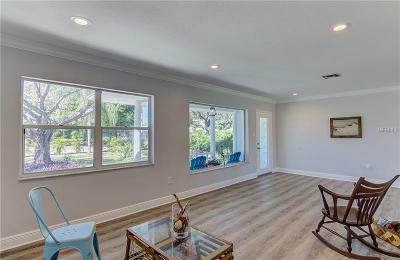 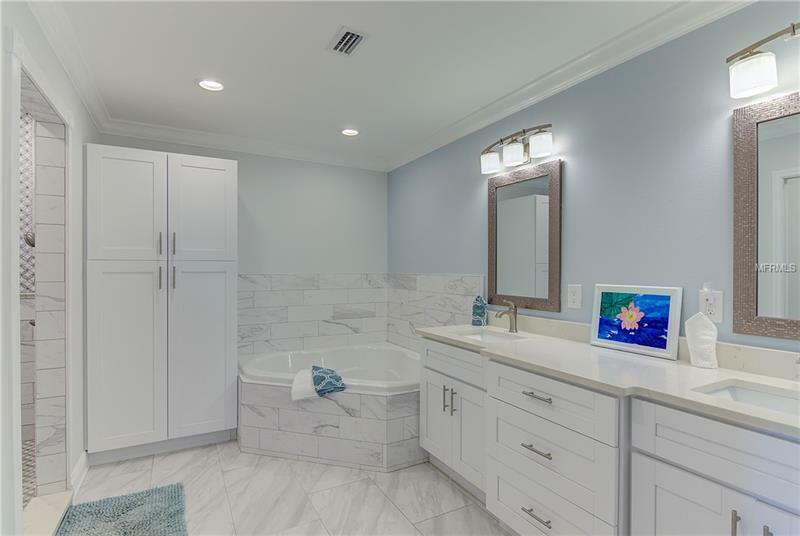 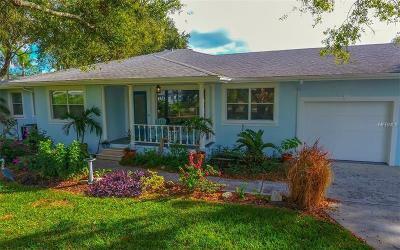 Totally updated in 2018 in Gulf Course Estates! 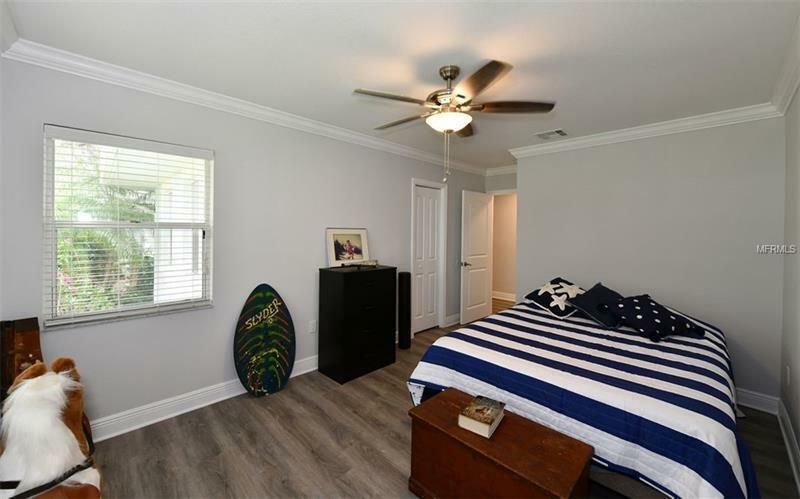 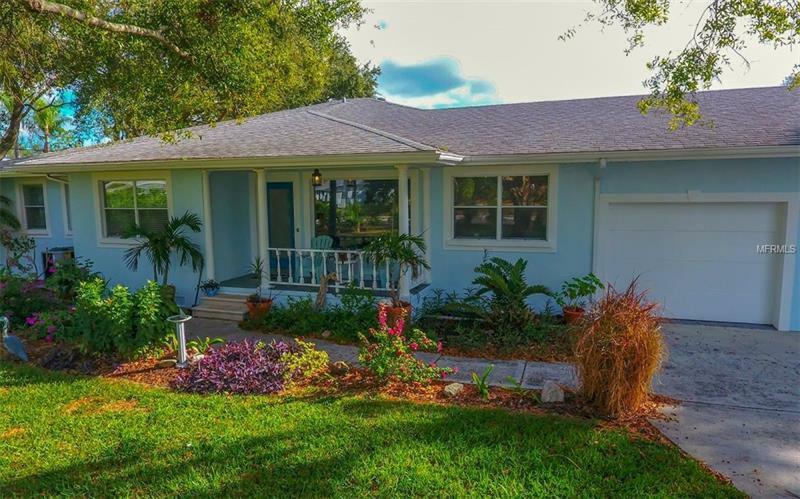 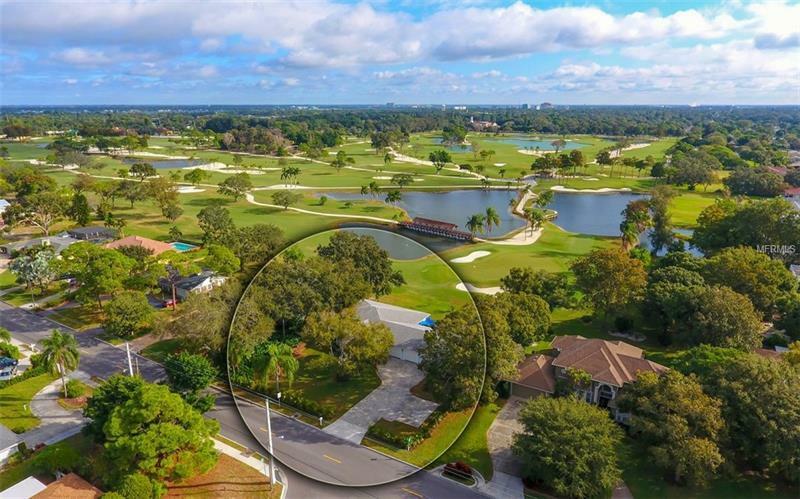 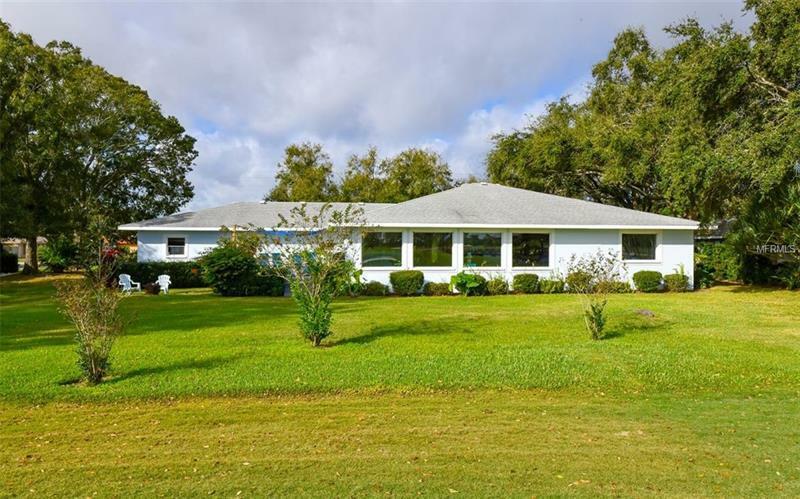 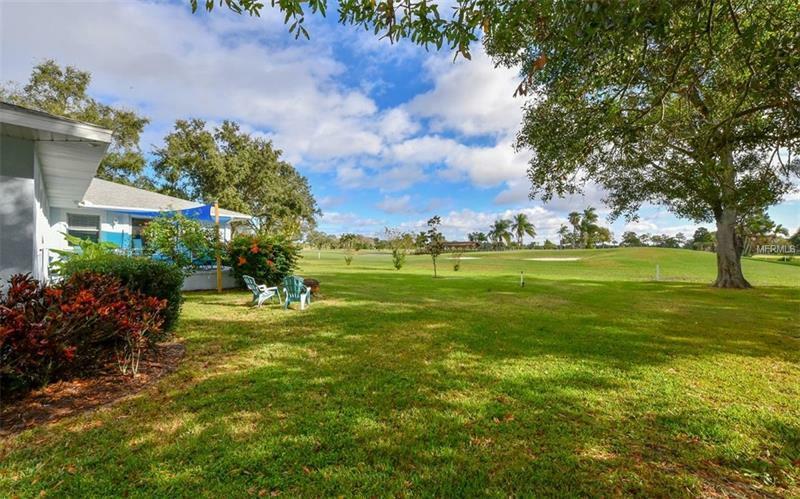 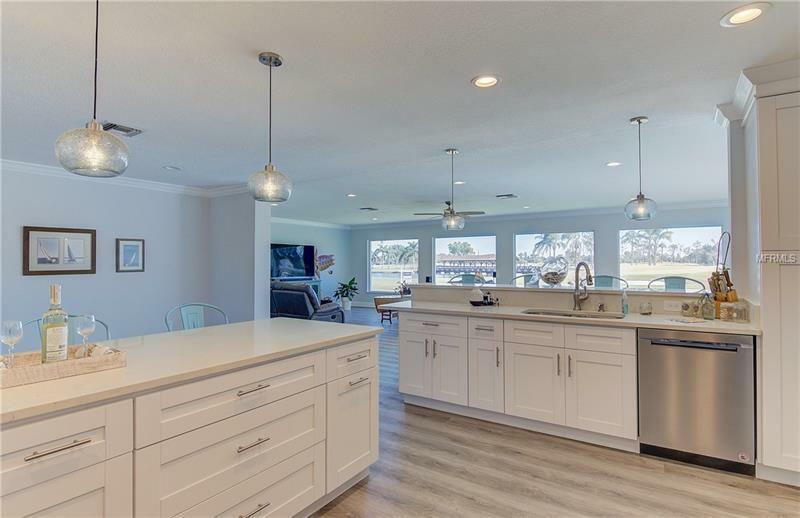 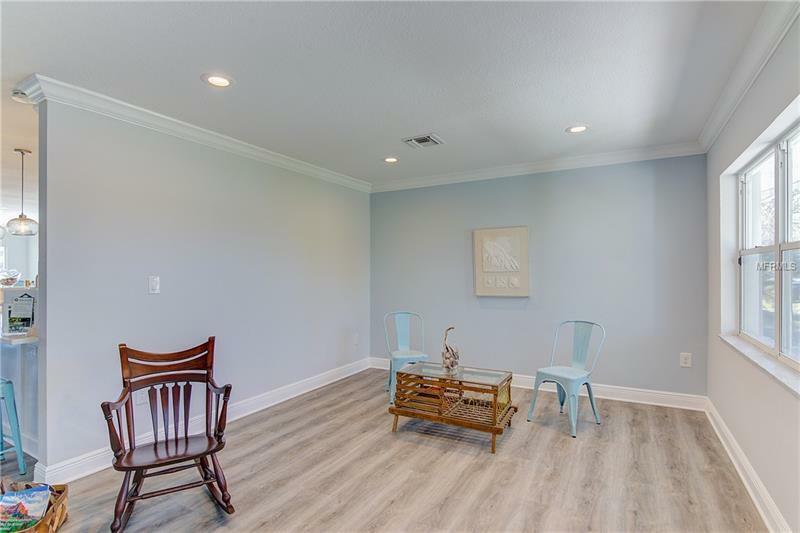 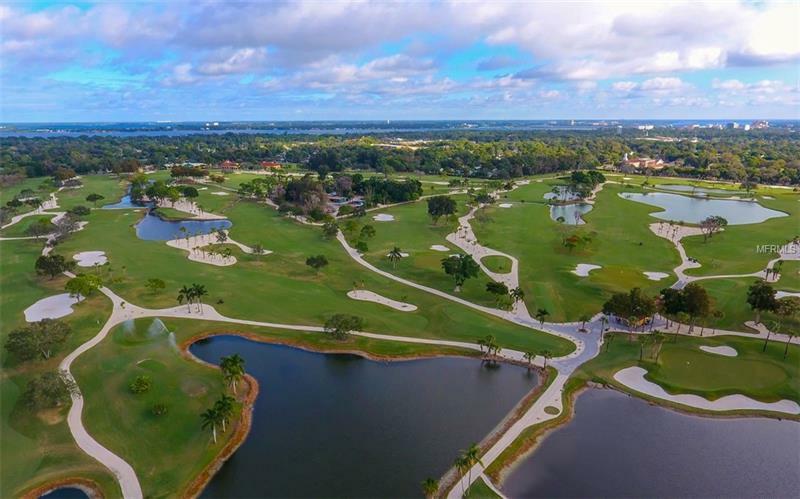 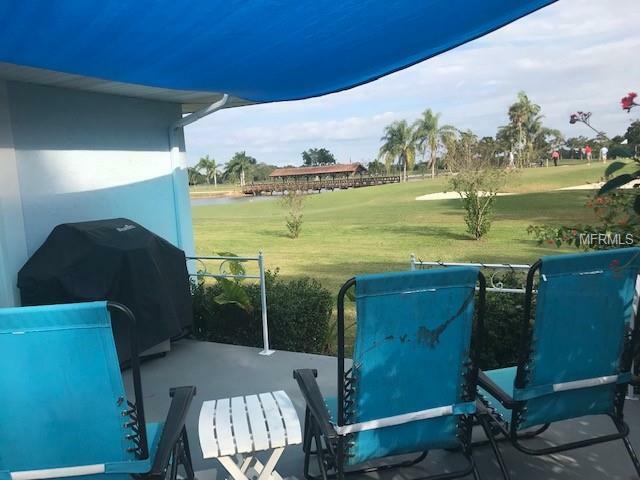 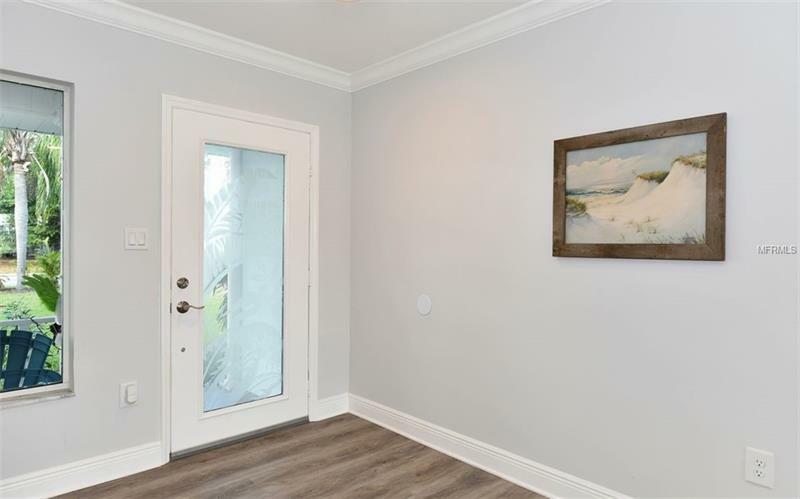 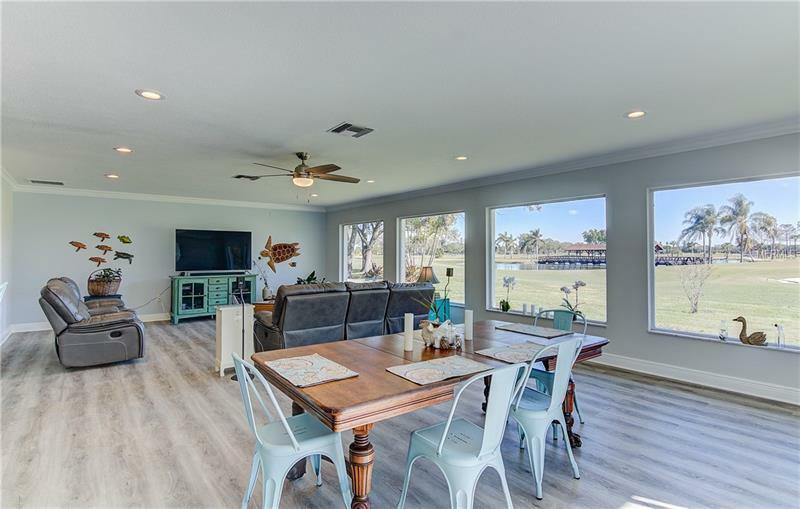 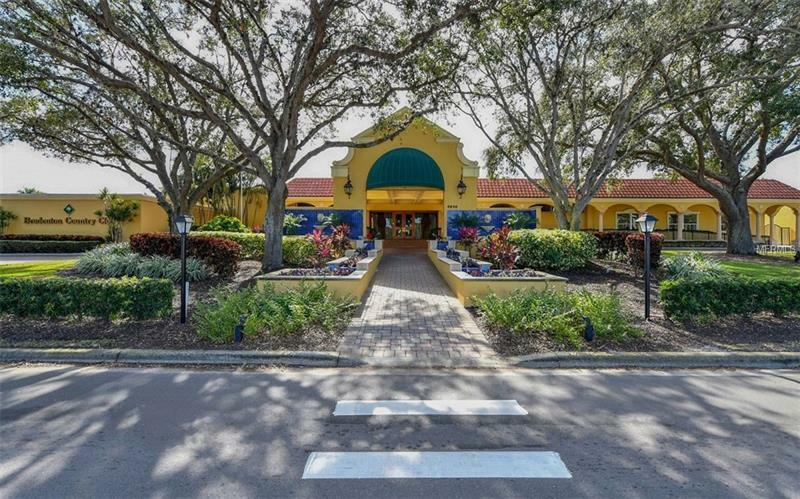 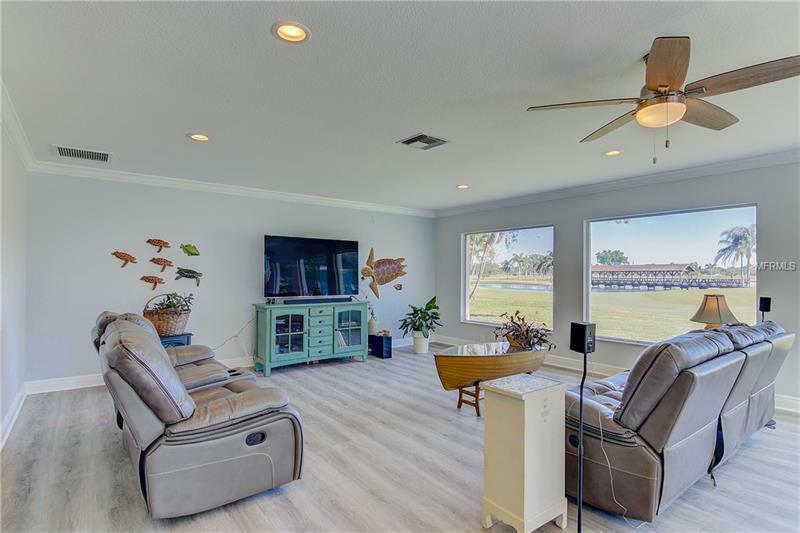 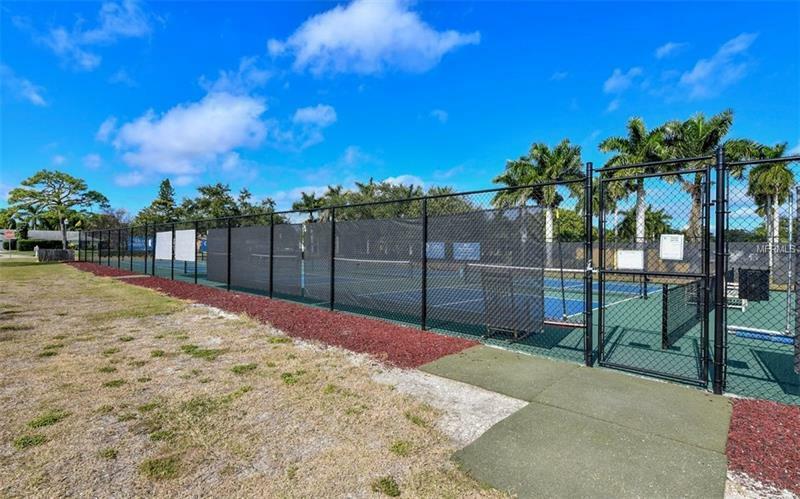 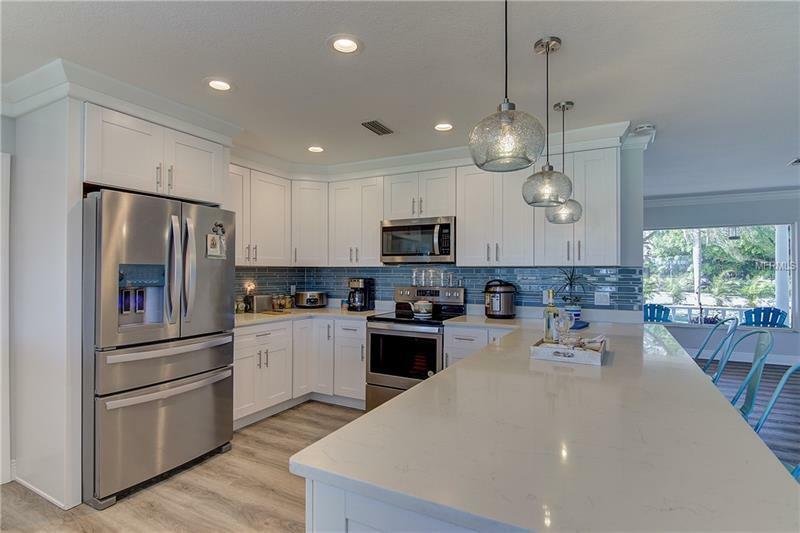 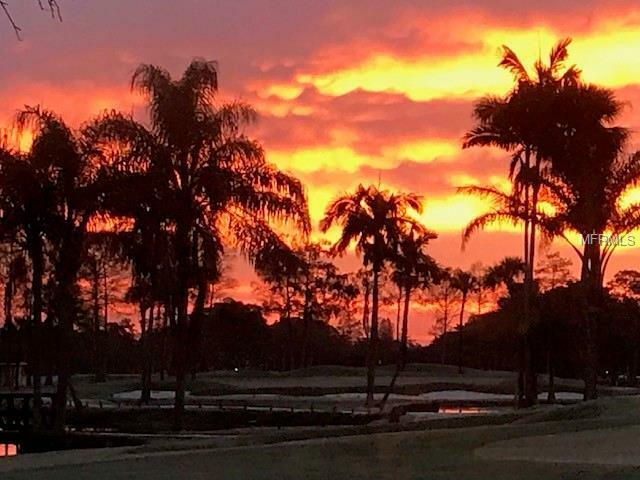 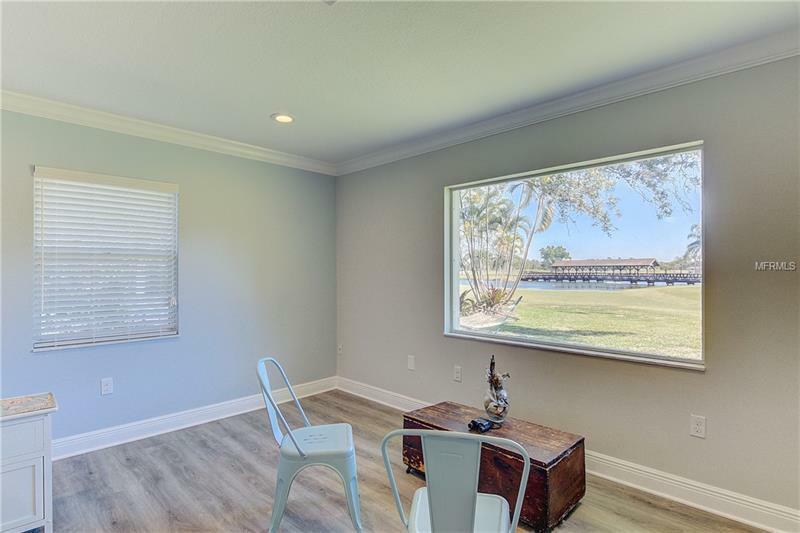 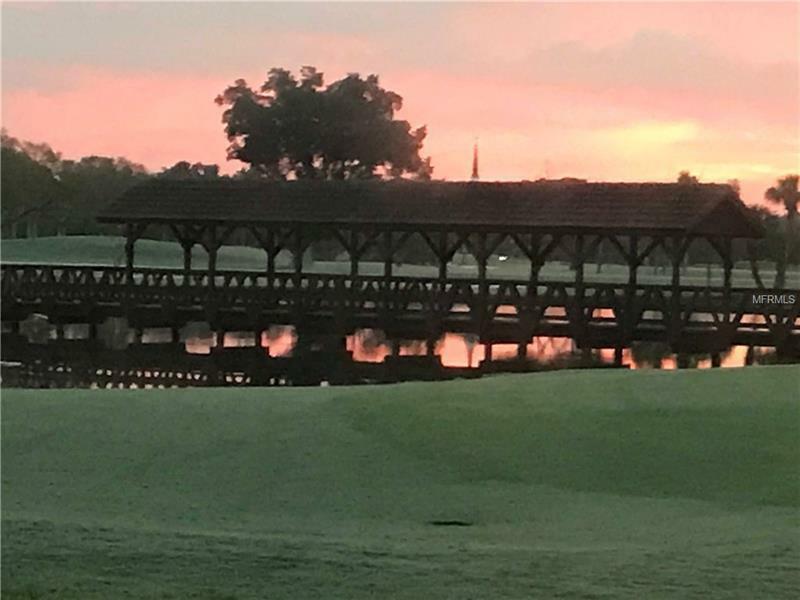 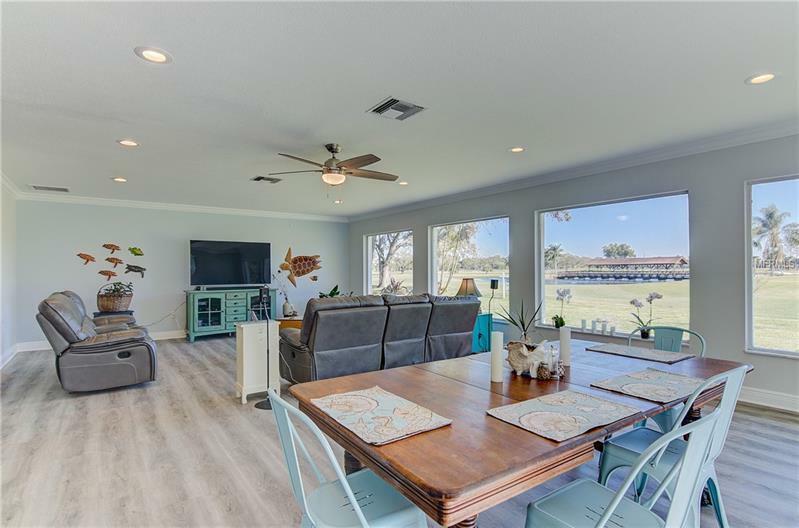 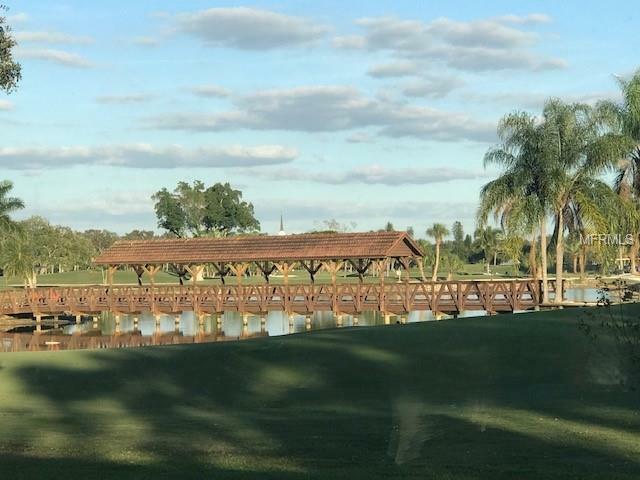 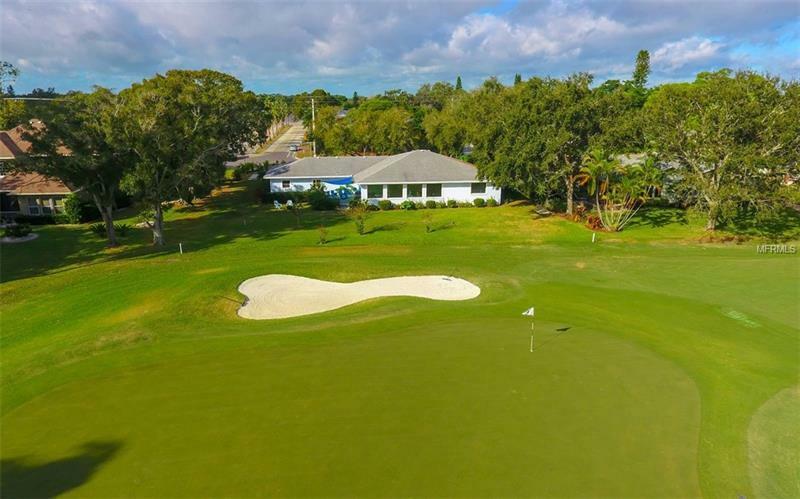 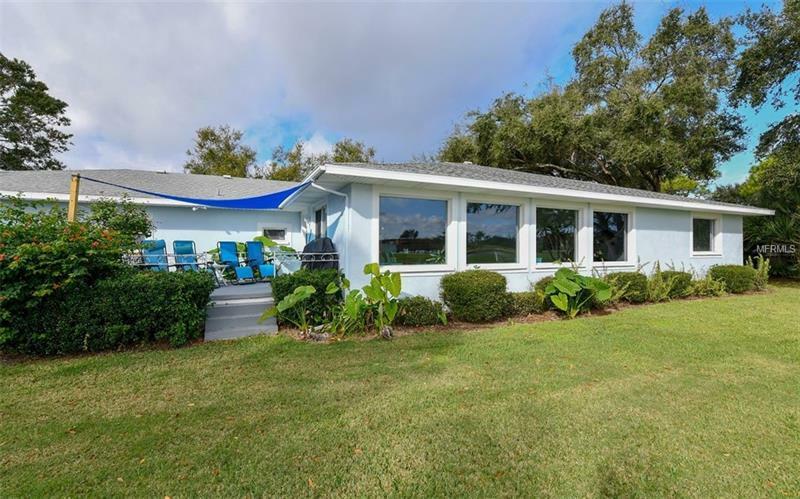 The view strikes you as you enter the home with breathtaking golf course and lake views of the Bradenton Golf Courseâs covered bridge and the 15th hole. 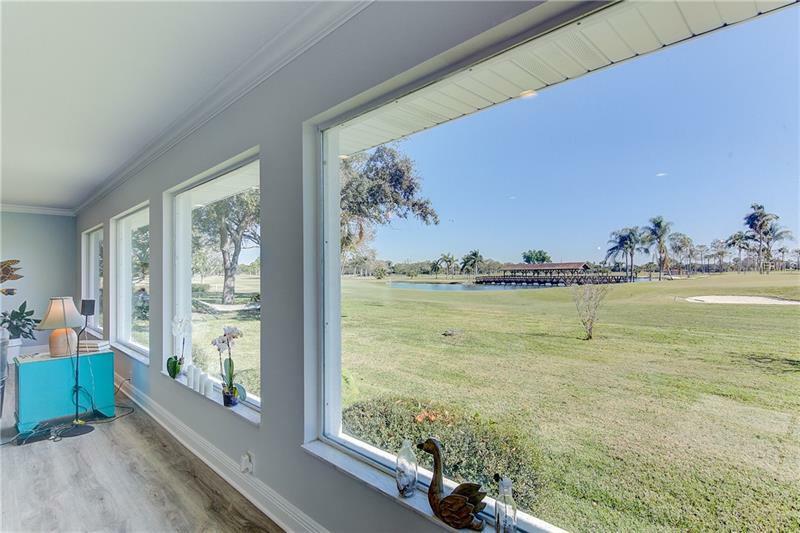 The Large picture windows allow for stunning sunrise and sunset views. 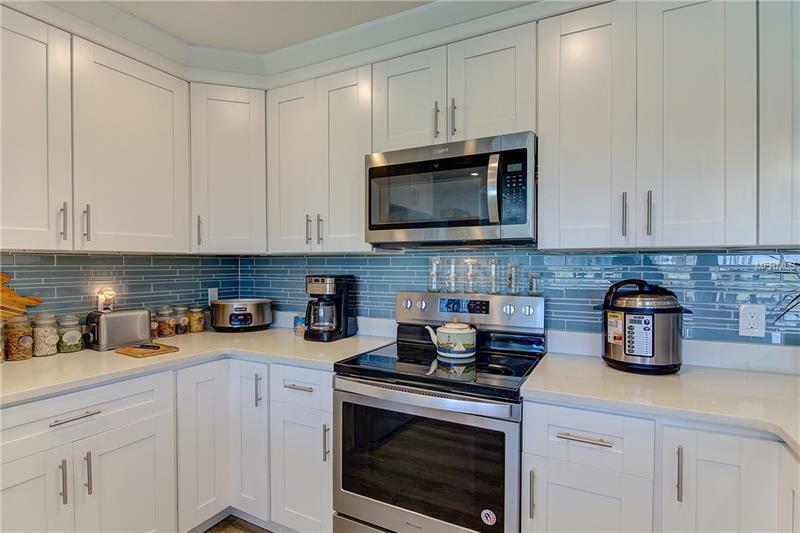 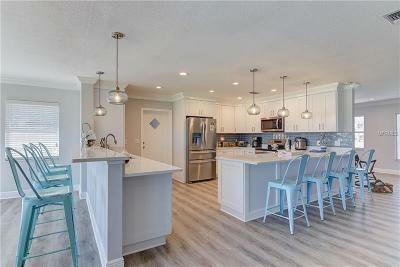 The kitchen and baths boast shaker wood cabinets, quartz countertops and stainless appliances. 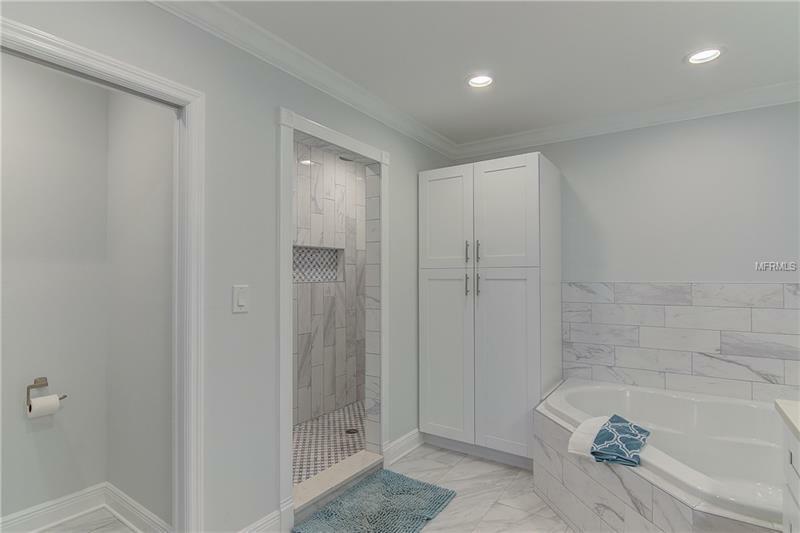 Flooring has been upgraded to durable vinyl plank throughout the home with ceramic tile in the bathrooms. 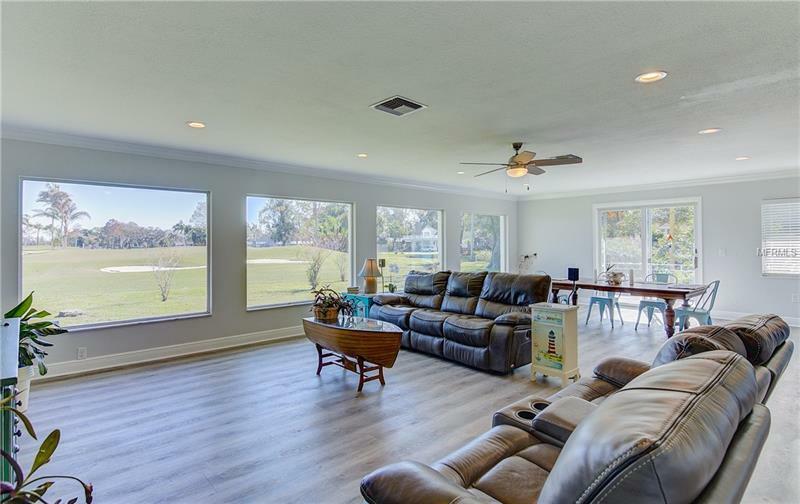 The main living area is completely open and provides a fantastic space for entertaining. 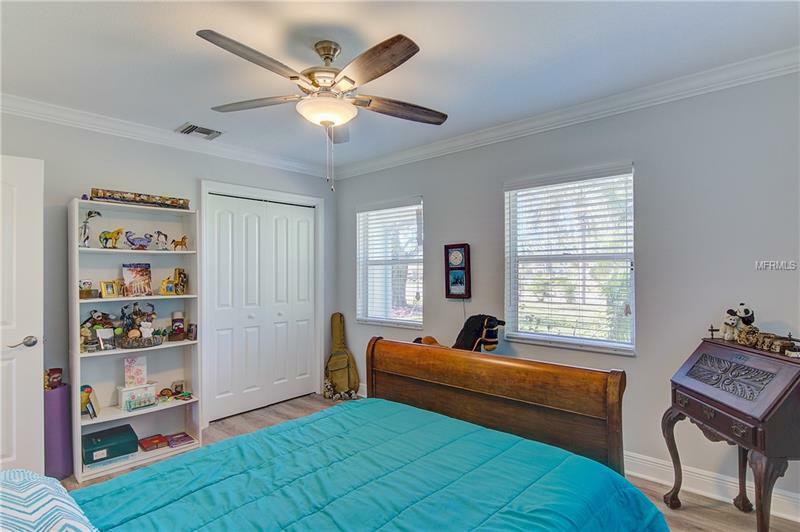 Youâll love the crown molding throughout. 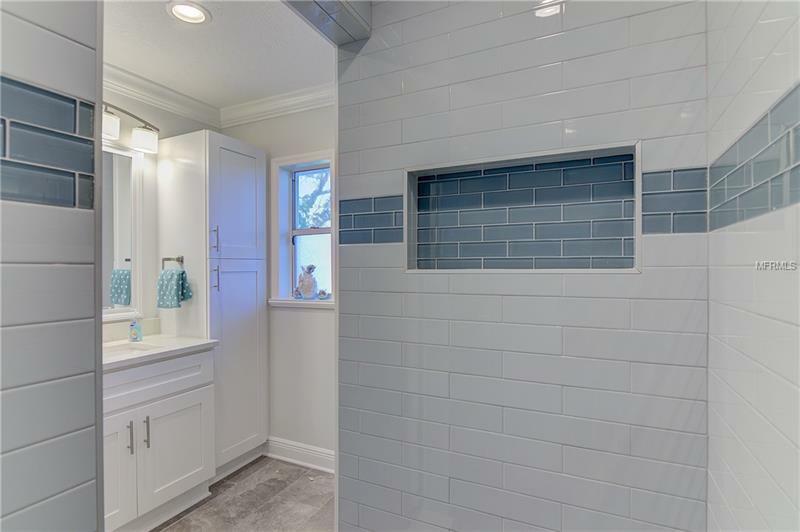 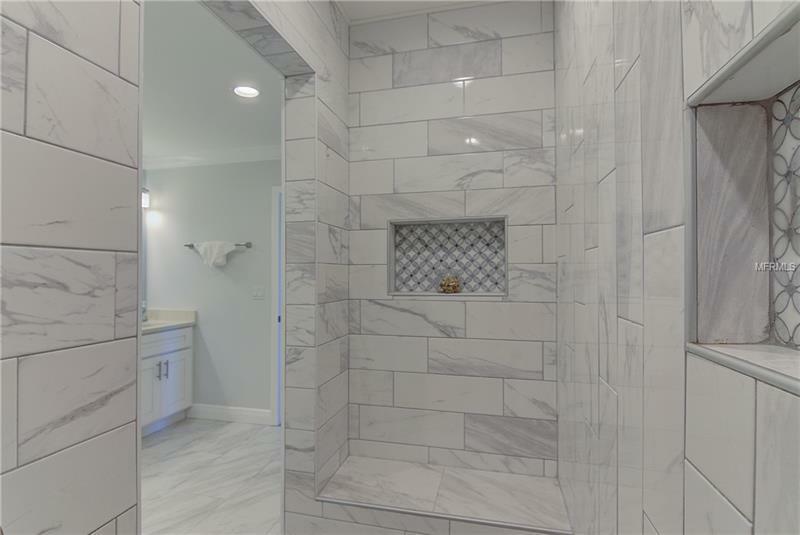 The master bath has a corner garden tub, walk-in Roman style shower with a rain showerhead. 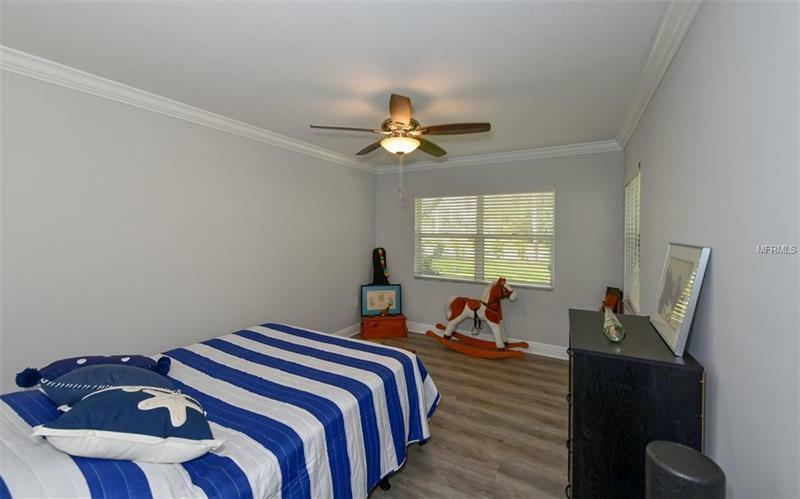 Huge master bedroom with plenty of room for large furniture and a sitting area. 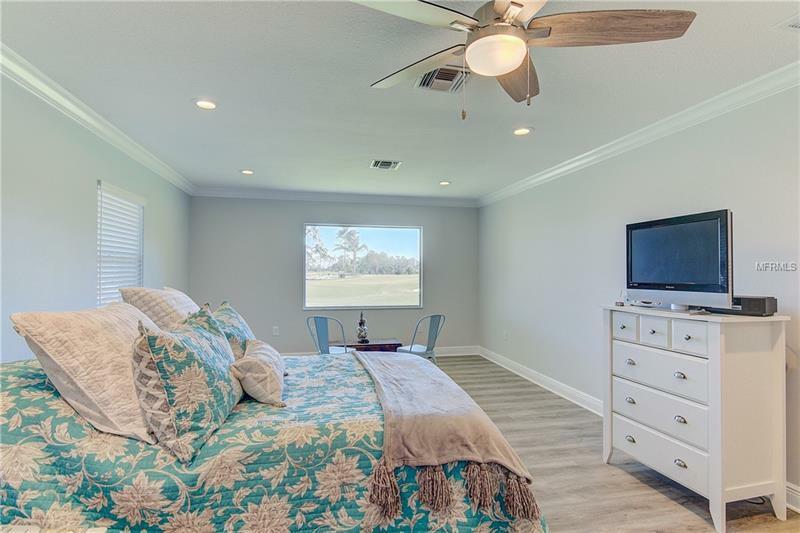 The picture window in the master bedroom overlooks the golf course and early morning sunrises. 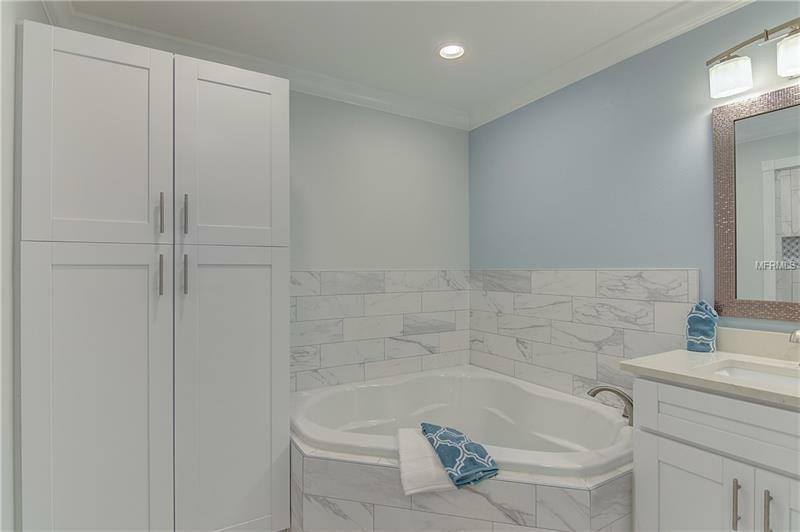 Updates include replacement of all the plumbing, walls, electrical and insulation. 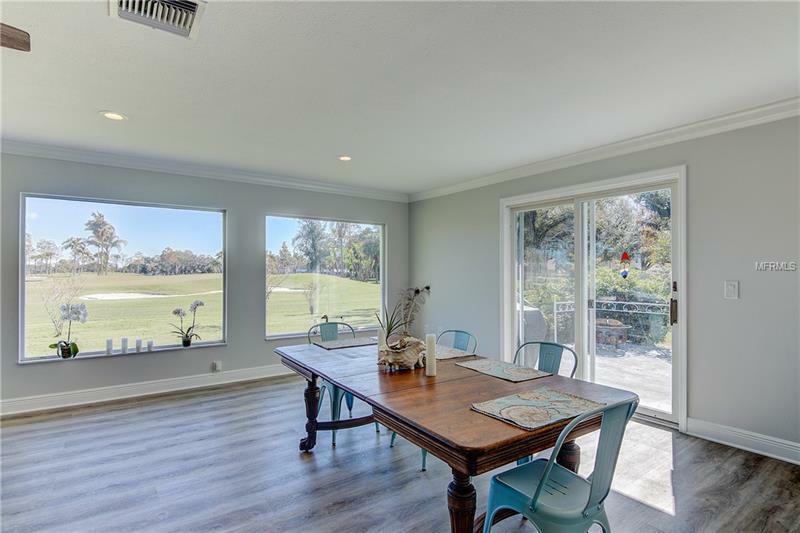 3-car garage with an additional golf cart garage. 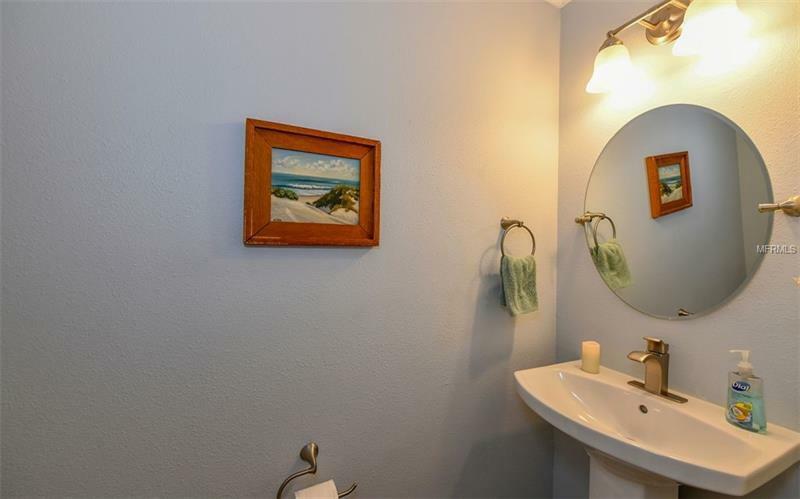 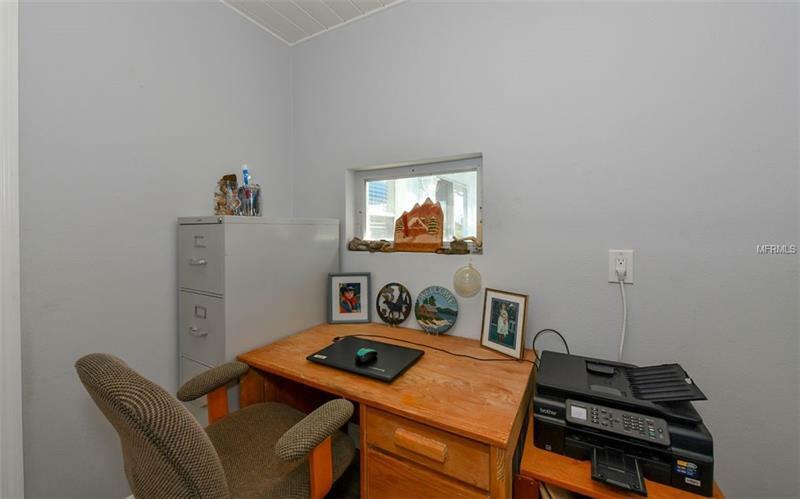 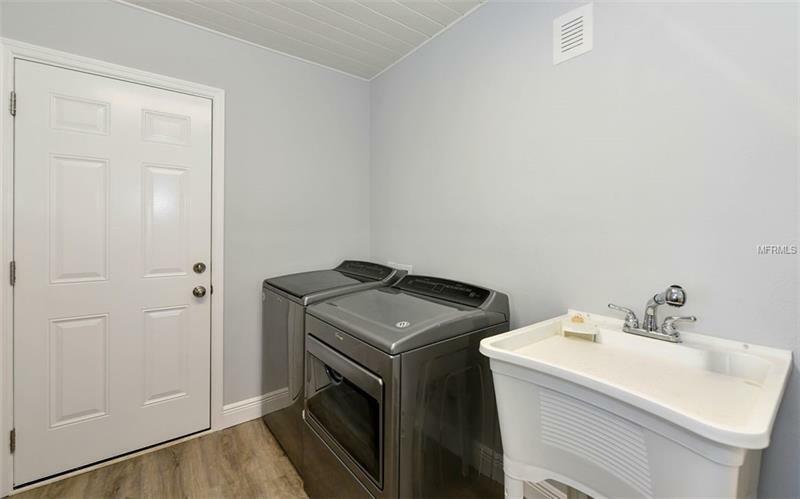 Plenty of room to store a boat or RV. 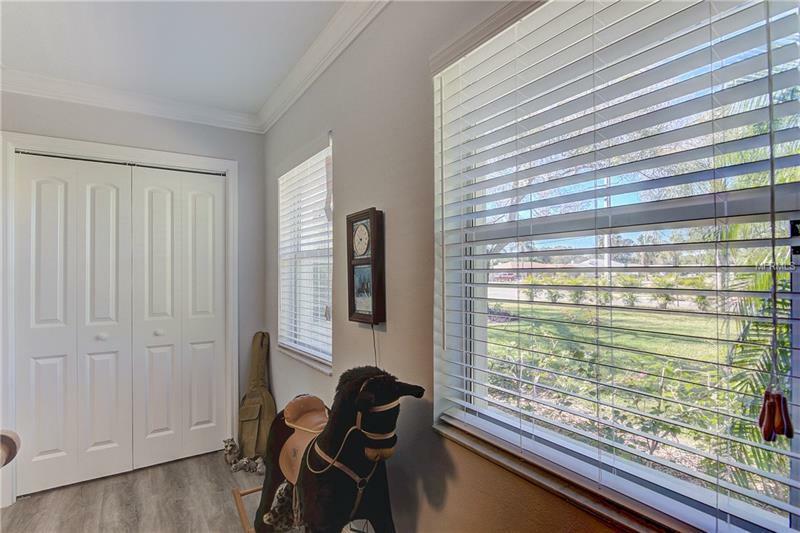 Driveway is oversized allowing for plenty of off-street parking. 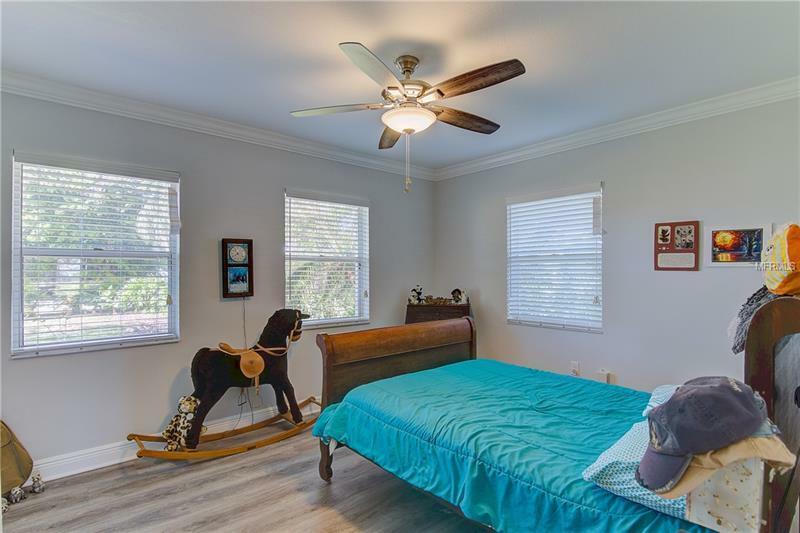 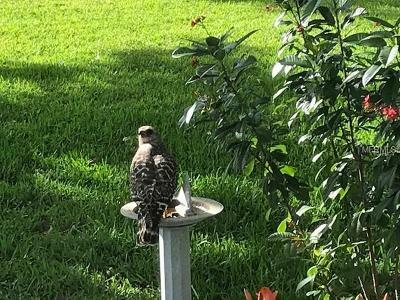 No HOA restrictions. 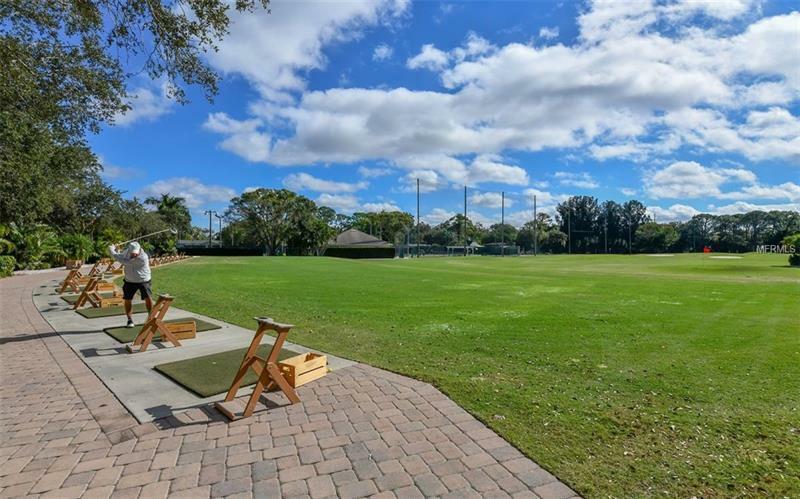 Canât beat the location being just a short golf cart ride to the Bradenton Golf Course which just completed a $1m renovation. 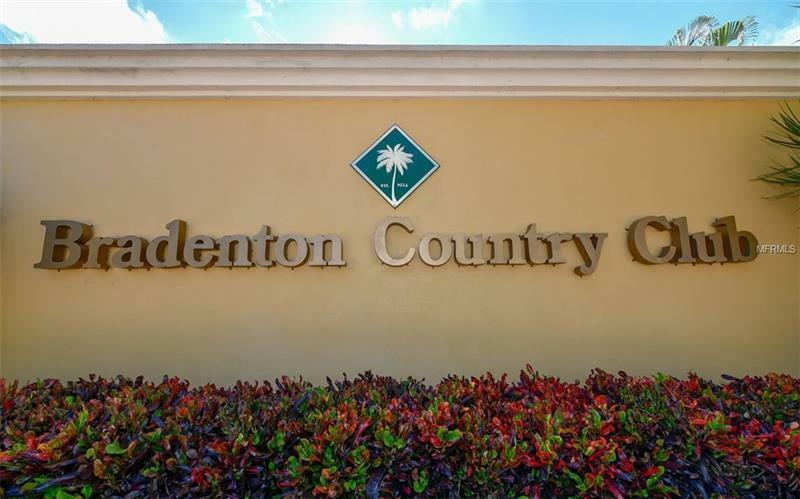 Membership is not required but, there are numerous memberships available to fit everyoneâs needs. 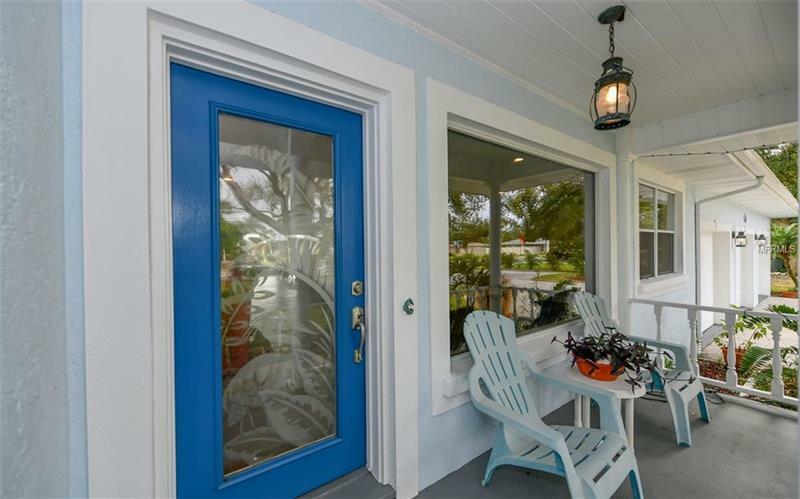 The beaches of Anna Maria Island are minutes away as well as Robinson Preserve, shopping, restaurants, theater, hospital, St. Stephenâs School and IMG Academy.